In many ways, the events that took place late last year in Zimbabwe can be classified as one of those. The moment when millions of Zimbabweans, both home and abroad, sat in front of their TV screens or radios, and witnessed the birth of a new era. An era in which the de facto dictator Robert G. Mugabe, would finally be replaced by a new president. This new President of course, is President Mnangagwa. He managed to fulfill the preceding attempts of the late Morgan Tsvangirai, Makoni and many others who attempted to overthrow Mugabe. The rise of a new President created new hopes in conjunction with new fears in the hearts of many Zimbabweans. A kind of hope that arrested the hearts of Zimbabweans from different walks of life. Whether that be the mothers who work as food vendors; the fathers who live in the diaspora; the University students learning overseas; or the children still in Zimbabwe unaware of their current reality. Zimbabweans have seen both sides of the coin. Often, our heroes either die, or live long enough to become villains. What shall we say of our new President? Is he a blessing? How has our new leader performed in his first 100 days in office? Must we continue to rejoice, or should we be alarmed? When Mnangagwa stepped into office, he entered with a vision of changing the trajectory of Zimbabwe. One of the most significant changes introduced was the removal of a significant number of police roadblocks, as well as the removal of spot fines. Roadblocks for years have been the center of struggle and dismay. 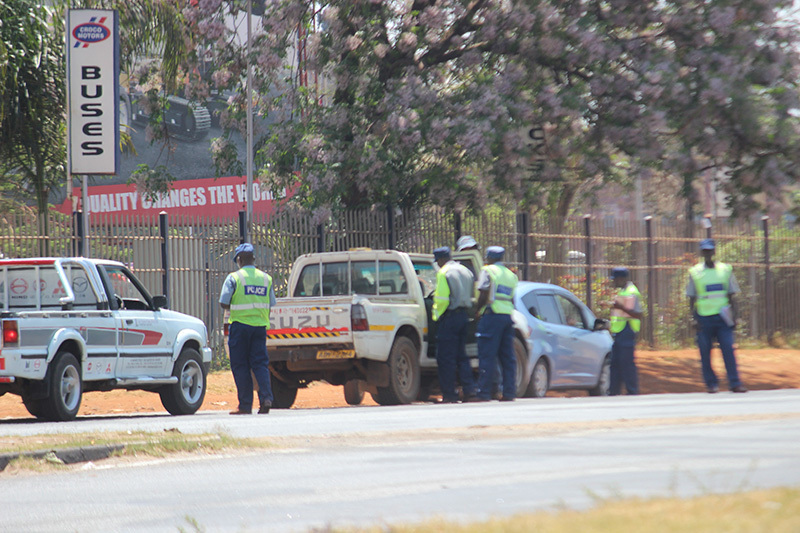 Encounters with police roadblocks merely symbolized the greater problems in Zimbabwe. The State has been accused of robbing its people of everything, including the right to free movement and transport. This has manifested in police roadblocks. For minor offenses, police officers would pin people down and rob them of their money. Zimbabweans had no choice but to plan their monthly budgets around encounters with police roadblocks. Those who could not afford such affairs spent hours on the side of the road hoping for mercy; or preferred to scour different roads, bushes, dust roads and shortcuts so as to avoid encounters with police roadblocks. Consequently, when news broke that roadblocks and spot fines would be removed, effective immediately, the atmosphere surrounding this announcement was one of shock and paranoia. The response of shock due the painful symbol that towered over Zimbabwe for many years finally being removed, and paranoia stemming from distrust in the system as a whole. This fear, however, was instantly cured when police roadblocks were in fact removed. Luxury cars we had not seen for months had suddenly reappeared as well. It seemed that Caesar - Mugabe - really had stepped off the throne. The second most significant step was when the President appealed to companies and businesses that were appropriating funds out of Zimbabwe to bring those funds back and they will remain unharmed. In a country where corruption is a common theme, it only made sense to think that that several companies were appropriating funds out of the country and sucking it dry. What we were not sure of as citizens was who was doing all of this. There were many rumors involving different ministers, companies and several other people, and in truth, it still remains a conundrum. The only ounce of certainty given at the time of the announcement, was that if no one heeded his warning, consequences would ensue. Subsequently, when the deadline passed, President Mnangagwa released a list that contained the names of the companies that were stealing cash out of Zimbabwe, and how much they had stolen. The response was shock and awe. If the President was complicit in such a state of affairs, surely he would not have made such a bold move. However, many question the step taken by the President. Many question whether there are companies he left out for the sole purpose of continuing to benefit off of these companies. Is such a mentality blameworthy? The next important step in Mnangagwa’s new regime was relaxing the indigenization policy in every industry except the mining industry. This policy limited foreign ownership of businesses to 49 percent. What raises heads about this new policy, is the fact that it is generally accepted that what crippled Zimbabwe’s ability to accrue foreign investment, was the indigenization policy. For several years this has been the subject of dinner table discussions. As beneficial for local businesses as this indigenization policy sounded, the truth remained that the sole beneficiary of this policy was the state. This policy only crippled the economy further and businesses did not blossom. Several factories and industries began closing down, and some shipped elsewhere. Instead of creating jobs it led to a 90 percent unemployment rate in the country. When news of this policy reached the public, former Finance Minister Patrick Chinamasa predicted that the country’s GDP would rise as a result. Thus strategically placing Zimbabwe in a place where it could attract foreign investment, and repair the broken relationships that Zimbabwe has internationally. Furthermore, what serves as evidence of this fact is the recent news of Britain desiring to repair relations with Zimbabwe. Additionally, President Mnangagwa recently attended the event at the World Economic Forum. However, many still question whether this really will effect change. Why was the indigenization policy not extended to the mining sector? Especially diamonds and platinum? The controversial 15 billion dollars that disappeared was in regards to diamonds. Was the mining sector excluded because the government wants to continue to exploit the economy? There is much more to explore with regards to President Mnangagwa’s first 100 days. The three points mentioned above were the main steps that Mnangagwa had taken to address the several ills in Zimbabwe. However, there are several steps that Mnangagwa has taken that leave us as Zimbabweans extremely concerned.